Thinking of taking a trip, to the outback, up the beach or touring the highways? Where ever you decide to go its important to set up your four-wheel drive with equipment that you can rely on in all conditions. 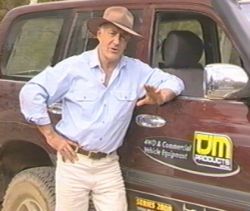 Towing or touring, on or of road, TJM can supply the accessories needed for improved comfort, safety, performance and protection of your 4WD. 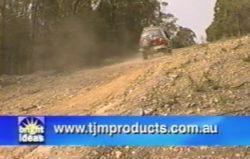 For over a quarter of a century TJM has been designing and manufacturing a diverse range of specialized 4WD and commercial vehicle equipment. TJM manufacture a wide range of Bull Bars that are carefully engineered to meet the needs of a variety of users. Attention to detail, refined features, quality of fit and finish, all add up to why TJM bars are the wise choice. Every recovery situation is unique. A successful vehicle recovery is a combination of a well thought out plan and the use of the correct equipment for the situation. TJM customer service can assist in advising appropriate Winching and Recovery Equipment to meet your needs. From the durable heavy duty steel rack for the tradesman or serious off-roader to the light weight aluminium unit for weekend camping trips or carrying a surfboard or bike, TJM offers a choice of steel or aluminium racks, as well as a range of carry rack systems to suit vehicles with or without rain gutters. Whatever the need, TJM has the roof rack solution.